The controversial laws that allow wire-tapping and court-approved access to business records will be extended until 2015. 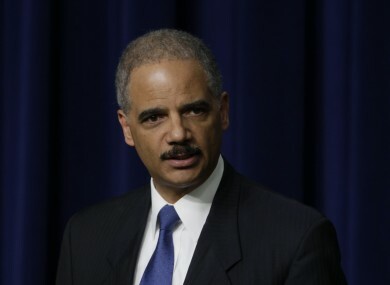 US attorney-general Eric Holder had been advocating an extension to the provisions of the PATRIOT Act. TOP CONGRESSIONAL LEADERS have agreed to a four-year extension of the United States’ anti-terrorist Patriot Act, the controversial law passed after the September 11 attacks that governs the search for terrorists on American soil. The deal between the Democrats’ Senate majority leader Harry Reid and Republican House speaker John Boehner calls for a vote before May 27, when parts of the current act expire. The proposal is to pass the extension with as little debate as possible, to avoid a protracted and familiar argument over the expanded power the law gives to the government. Support for the extension was unclear. Senate Judiciary Committee chairman Patrick Leahy wanted tighter restrictions on the government’s power and may seek to amend it. In the House, members of the freshman class elected on promises of making government smaller were skeptical. ”I still have some concerns, and at this point I’m leaning against [voting for] it,” said one, Republican Andy Harris. The legislation would extend three expiring provisions until June 1, 2015, officials said. The provisions at issue allow the government to use roving wiretaps on multiple electronic devices and across multiple carriers and get court-approved access to business records relevant to terrorist investigations. The third, a “lone wolf” provision that was part of a 2004 law, permits secret intelligence surveillance of non-US individuals without having to show a connection between the target and a specific terrorist group. From its inception, the law’s increased surveillance powers have been criticised by liberals and conservatives alike as infringements on free speech rights and protections against unwarranted searches and seizures. Some opponents suggest that Osama bin Laden’s demise earlier this month should prompt Congress to reconsider the law, written when the terrorist leader was at the peak of his power. But the act’s supporters warn that al-Qaeda splinter groups, scattered from Pakistan to the United States and beyond, may try to retaliate. “Now more than ever, we need access to the crucial authorities in the Patriot Act,” Attorney General Eric Holder told the Senate Judiciary Committee. The act’s name derives for what it stands for: Uniting and Strengthening America by Providing Appropriate Tools Required to Intercept and Obstruct Terrorism Act. Email “Congress leaders agree four-year extension to PATRIOT act”. Feedback on “Congress leaders agree four-year extension to PATRIOT act”.